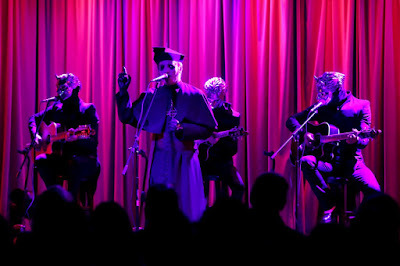 Ghost performed a brief acoustic set at the Clive Davis Theater inside the Grammy Museum in Los Angeles on May 1, and video from the event has surfaced online. The rare, intimate performance comes just days before the launch of a spring US tour that will begin in Riverside, CA on May 5. 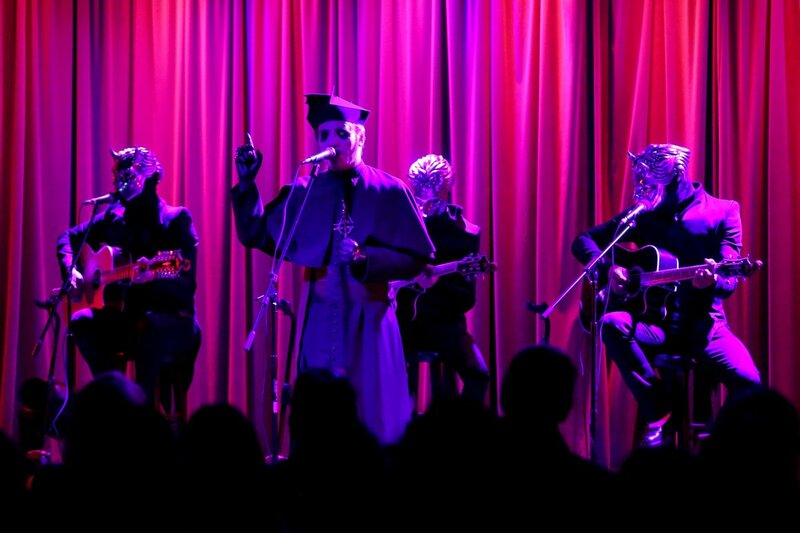 Ghost will preview opening night with a show at The Roxy Theatre in Los Angeles this Friday. Due June 1, Ghost recorded their fourth studio album, “Prequelle”, with producer Tom Dalgety (Royal Blood, Opeth) at Artery Studios in Stockholm, Sweden.